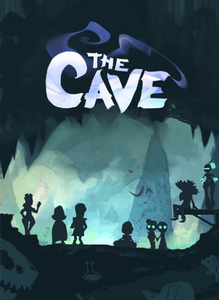 The Cave was delisted on the PlayStation 3, Wii U, and Xbox 360 in late March or early April of 2018. The last confirmed availability of the console titles we have found was on March 9th, 2018 for Xbox 360 and March 17th for Wii U. It is possible the console versions were delisted shortly after the 17th in late March. On April 2nd, 2018 the Steam version changed publishers from Sega to Double Fine Productions and remains available only on that platform. The console versions may have been delisted on April 2nd as well or shortly before. It appears Sega did not choose to renew the console versions of the game and Double Fine has yet to confirm if they will pick up the publishing duties. In 2017, Double Fine issued a blog post about the status of their mobile titles with the impending release of iOS 11 requiring apps to be updated to 64-bit. In it they mention that “The Cave’s future is uncertain, and is in SEGA’s hands, but it will not be updated”. The game appears to be unavailable from the iTunes store but remains available on Android, published by Double Fine, as of this writing The OUYA version became unavailable in 2015 when Razer acquired Ouya Inc. and shut down the app store for that platform.